The United Nations Human Rights Council needs to be strengthened by measures to enhance its impact on the ground, Amnesty International, Human Rights Watch, and the International Service for Human Rights said in a report released on 23 April 2018. The Human Rights Council is approaching a critical juncture in 2018, as countries discuss various measures to strengthen it or make it more efficient, but ‘Efficiency’ Can’t Be Separated From Effectiveness. The report, “Strengthening the UN Human Rights Council from the Ground Up,” outlines the discussions and key recommendations during a dialogue convened by the organizations in February. The dialogue brought together a broad range of human rights defenders working at the national, regional, and international levels with representatives of national human rights institutions, countries from various regions, and the Office of the High Commissioner for Human Rights. The focus was on making concrete and implementable recommendations that do not require institutional reform. Ghana, Hungary, Ireland and Uruguay – in cooperation with ISHR – are organizing a panel discussion about current situations, existing practices and new ideas for better implementation of Human Rights Council resolutions on preventing and responding to reprisals. The second study is a comparative research report on the recognition and protection of human rights defenders under national law. The event takes place in Room IX of the Palais des Nations, Geneva, from 15h00 to 16h15. The legal briefing is followed by ISHR’s 30th anniversary reception. Invitation to a High-level Legal Briefing: 20 November 2014. HRF Calls for the Immediate Release of Two Prominent Oslo Freedom Forum Speakers | News | The Human Rights Foundation. For more information please contact Brenda Bowser Soder at bowsersoderb[at]humanrightsfirst.org. 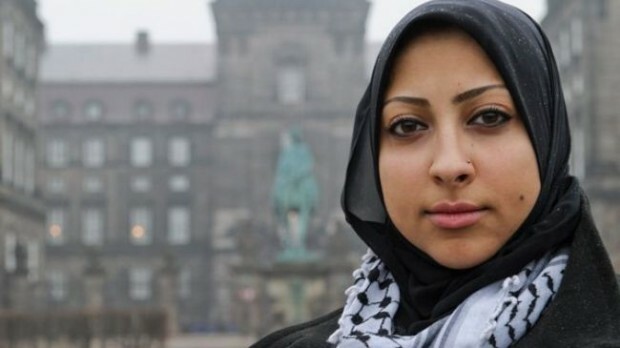 via Leading Bahrain Human Rights Defender Stopped at Airport, May Appear in Court Tomorrow | Human Rights First. The Ahlul Bayt News Agency reports today that a court in Bahrain sentenced today political detainees, including activists and human rights defenders, to total of more than 400 years’ imprisonment and upheld the sentence of 10 years’ imprisonment against two children. All of the sentences were delivered under the internationally criticized and vague terrorism law. The court also reduced the sentences of two police officers who tortured a detainee to death from 10 years’, to 2 years’ imprisonment. On 29 of September 2013, the court held the ruling session in the case known as “February 14th Coalition”, in which 50 individuals were tried under the terrorism law, including human rights defender Naji Fateel, political activist Hisham Al-Sabbag and activist Rihanna Al-Mosawi. In first session when defendants spoke about the torture they were subjected to, but were ignored by the court. On the 5th of September, the legal defense team submitted a letter requesting a change of court due to the conflict of interest, and requested a medical committee to investigate the torture allegations from the defendants. The defense team then withdrew from the session based on Article 211 of the Criminal Procedure Law of Bahrain, which stated that the defense team can refuse the judges ruling in the cases mentioned in the previous article and in other cases which are prescribed by the law. Moreover, the defendants issued a statement boycotting the trial stating that the lack of an independent judiciary as one of the reasons. On the 29 September 2013, the court continued the trial and sentenced the 50 defendants in the case to a total of 430 years in prison: 16 defendants were sentenced to 15 years’ imprisonment including Naji Fateel and political activist Hisham Al-Sabbag, 4 were sentenced to 10 years imprisonment and 30 to 5 years. The BCHRs Acting President Maryam Al-Khawaja stated: “There was no due process in the entirety of this case which is why the defendants and their lawyers decided to boycott. From the time that the defendants were abducted, tortured and then sentences, nothing was done according to international standards of a fair trial. If these fifty people were really guilty of a crime, why was the only evidence presented confessions extracted under torture? This was a sham trial with a political verdict, they should be released immediately”. via Bahrain Court Sentences 50 Shia Muslims to Total 430 Years Imprisonment / Names.